Not all cryptocurrencies can be easily bought and sold. The biggest and most famous cryptocurrencies, such as Bitcoin and Ethereum, are supported by almost every exchange and service that caters to cryptocurrency. Less well-known cryptocurrencies are not widely represented in the marketplace, which isn’t merely a problem of brand awareness and marketing. The problem a lesser known token has is an economic problem of liquidity. The less well-known a cryptocurrency is, the harder it is for a seller to find a buyer at the exact time they want to sell, and vice versa. Exchanges help alleviate the problem of liquidity for all the tokens it supports by offering to hold a token for the time in between when a seller offers and a buyer buys. In pragmatic terms, they purchase the token from you, and then later sell it to someone else for a slightly higher price, and they make their money by keeping the spread. However, in order to provide that service, the exchange needs a certain degree of confidence that for every token they accept, they will find someone else to take it off their hands in good time. If a token is not popular, then there’s a risk that no one will come along and buy it, and the exchange will be left holding worthless coins. So exchanges are careful about which coins they will accept. This creates a chicken-and-egg problem for new emerging cryptocurrencies, because they need to be purchasable and tradable to have market value, but they also need to have market value for exchanges to want to support them and provide liquidity. It would be ideal if there was some way to have a universal exchange that all currencies could connect to so that no matter what, a token always had a marketplace. Instead of an exchange backing all its purchases with its own financial resources, there could be a medium of exchange that everyone could swap their tokens for at any time. This is an idea that goes back before the advent of the blockchain, as far back as 1944 when there was a proposal to create a currency of exchange between national fiat currencies. That supranational currency was intended to be called Bancor. The idea didn’t take hold as it was originally conceived, but now the name is being applied to a cryptocurrency that hopes to achieve something similar in the crypto space. Bancor is a system for exchanging tokens without the need for a third-party exchange to finance the interaction. They have issued an ERC-20 token called Bancor Network Token (BNT), to help fund the project, and in the future, provide a smart contract system to help facilitate their exchange network. The key to understanding Bancor is that it uses other existing tokens as a reserve to support its liquidity. The idea being that buyers might be hesitant to hand over fiat cash for an obscure token if there’s fear that the token will be hard to sell, even if it has a nominative market value. If, however, a buyer knows they can always convert the token into another token that is easily traded, then they know that they can always access the value inherent in that token. Note that it doesn’t make the coin more or less valuable—that is determined by market forces as with any other coin. It just ensures that the coin can be bought or sold on demand, as opposed to other coins where you may be stuck waiting for when a buyer or seller emerges. To create your own token on the Bancor Network, you would declare a currency that you want to be the reserve currency. Currently, it appears that only ERC-20 compatible tokens can be used, though that may change so that any coin, including Bitcoin, could be used. For the moment, assume that you want to use Ether (ETH), the core token of the Ethereum blockchain, as it is well supported. You would then purchase some of your own tokens with some amount of ETH, creating a reserve. As others buy into your coin, their purchase goes into the same reserve. The purchase price reflects market rates, so the amount of ETH in reserve is always in accordance with the value of your Bancor Network token (BNT). Similarly, if people sell off your BNT, they will get the current market rate for your token back in ETH, reducing the reserve. In this way, there is always a market for selling your BNT, so long as there is market for ETH, which seems very likely for the foreseeable future. 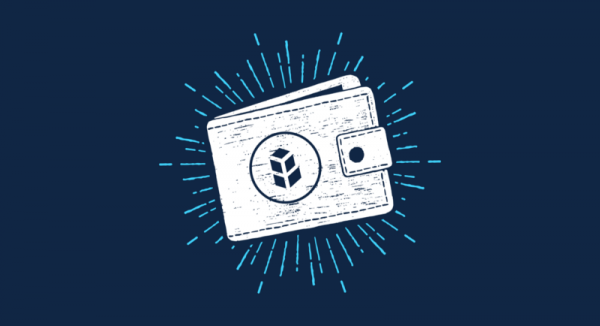 In essence, the Bancor blockchain is like an exchange for your coin that is always there for you, willing to buy back your tokens from the reserve that was created, and always willing to sell you tokens if you fill up the reserve. This is all explained in their whitepaper, of course, and there’s a spreadsheet you can use to calculate the value of hypothetical tokens in relation to BNT if you want to take a more hands-on approach to seeing how it works. When people talk about how the crypto boom was raising crazy amounts of money in a short amount of time, Bancor is a prime example of what they mean. On June 12, 2017, Bancor raised US$153 million in its ICO in just 3 hours. This is the 4th highest amount raised by an ICO so far. One notable investor in the ICO was Tim Draper, a billionaire venture capitalist who is a long-time proponent for more liquidity in venture capital. The sale was so robust, it caused some problems on the Ethereum network. They actually raised US$51 million more than intended, upsetting earlier buyers who felt their purchase was diluted in value. 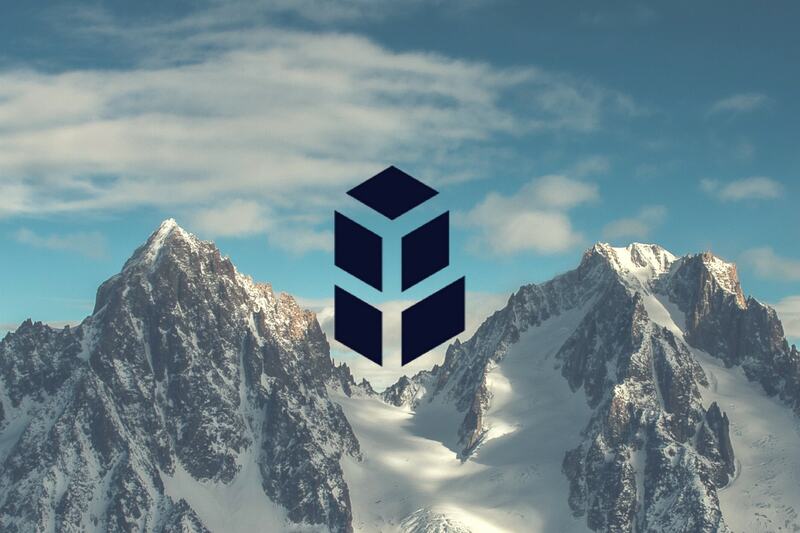 However, since the initial ICO, Bancor has pulled in over 100 tokens to its platform, and the value of BNT has risen from roughly US$2.60 at the time of the ICO to US$3.26 at the time of writing, indicating that everything is going in the right direction for everyone involved. The about page on the Bancor website describes themselves as a “foundation” consisting of a council and an advisory board. They do not list any investors, which is not necessarily surprising, given they raised record amounts of money in a short time. They don’t list any developers on their own site’s team page, but this page has a more extended list of people, including developers. Crypto provides a clean slate for women to not just lean in, but completely change the game, for everyone – as after all, the economic system we create ultimately shapes our entire society. From a technology standpoint, Bancor does not seem to have any particular flaws in its methodology. It is, essentially, just a mathematical formula for tracking one tokens value in terms of a reserve storage of another token, with a smart contract to enforce it. But there has been criticism of Bancor on a higher level of purpose. Researcher Emin Gün Sirer and PhD student Phil Daian, with some advisory help from Vitalik Buterin, wrote a long and detailed blog post questioning the very purpose of having a service like Bancor at all. The focal point of the critique is the problem that Bancor claims to solve, known as a “double coincidence of wants.” What if you have some token ABC you want to sell, and I have some token XYZ, but you don’t want XYZ and I don’t want ABC. Our needs don’t coincide, and so we are both stuck, unable to exchange our goods. Bancor is attempting to resolve this problem by tying an underlying currency, BNT, underneath both our tokens so that both our ABC and XYZ tokens will always have an underlying value that we can exchange to, even if you and I can’t exchange with each other. However, as the critique points out, isn’t this the function currency already serves? In most cases, you could swap our ABC and XYZ tokens for something more common like ETH, and then it doesn’t matter if either of us wants each other’s tokens, because we can find value in the wider market. If no one wanted to exchange either of our tokens for ETH, then isn’t that just market forces telling us our tokens aren’t worth anything? And if you wanted to establish a stable price for your ABC coins, you could accomplish this buy buying your own coins with your own ETH, thus setting a market value, which, according to the critics, is all that’s accomplished with Bancor’s reserve. A Bancor founder wrote a point-by-point rebuttal, where they claim the critic misses the point of trying to create a methodology for solving a problem. Yes, perhaps one could use ETH as a medium of exchange between your ABC and my XYZ tokens, but that does not mean it’s the best possible solution, and that no improvements could be made to innovate on the existing system to try and create more liquidity. It has to be left up to the reader as to who makes the stronger case. As an ERC-20 token, BNT can be stored on ERC-20 compatible wallets, such as MyEtherWallet, and can be purchased on popular exchanges, such as Binance. Bancor has released a wallet, which is only available for download after you register on their site. The wallet enables users to buy, store and manage any ERC-20 token and provides access to token conversions with instant on-chain settlement between any tokens on the Bancor Network. A Bancor Wallet can be created using a Telegram, WeChat, or Messenger account. Once logged in, a user can import any existing ERC-20 wallet to start converting instantly. Bancor users who previously created a profile on Bancor have automatic access to the new wallet. As with all conversions on the Bancor Network, there are no spreads, no deposits, and no withdrawal fees when exporting tokens. There is clearly a desire within the cryptocurrency world to create more liquidity, so that all currencies can rise and fall on their own merits. Currently, all currencies tend to rise and fall largely in step with Bitcoin, as BTC is the most common gateway between fiat and cryptocurrency. Bancor seems to have in mind the goal of increasing liquidity, but by necessitating reserve currencies, it’s less clear they would be addressing the issue of dominance of currencies already easily bought with fiat. Bancor does provide the service that it says it does, and that in itself is something a lot of spurious blockchain projects would have a hard time claiming. Whether or not that service is needed might be a matter of academic debate, but it’s not clear that market success has ever been truly reflective of value on a more theoretical level. Whether or not Bancor is strictly necessary is less important than whether or not people find it convenient and useful. Read more about Bancor at their blog on Medium. You can also join their community on Reddit, Twitter and Telegram. By Dave Gutteridge, thank you for this post. Its very inspiring.